Hey fam! Happy Monday! Or something - are Mondays ever really happy? Let's change that! By now you must have noticed that my reading has slowed down a looooooot. I'm going to be honest: I love reading, always will, but nothing current in the publishing world seems to be really grabbing my attention. Maybe current trends don't suit my tastes; I keep wanting to reread old favorites or read unread backlist novels that I've had for forever. Maybe it's a part of getting older - I started this blog in 2012 when I was 17 - but it's just not the same. In any case, I've been branching out my hobbies and interests. In January I joined a gym, and I really love the power of running, lifting, stretching, and sweating - I feel so much stronger than I have in my entire life. I also picked up knitting again, in January, but I've fallen off the wagon with that one. I bought a pound of red yarn recently, and I want to participate in the Little Hats, Big Hearts program in the coming February. I'm teaching myself Icelandic! I checked out a Beginner's Icelandic book by Helga Hilmisdóttir and Jacek Kozlowski from my local public library, and I'm going to use the Icelandic Online course that the University of Iceland has available. Wish me luck! 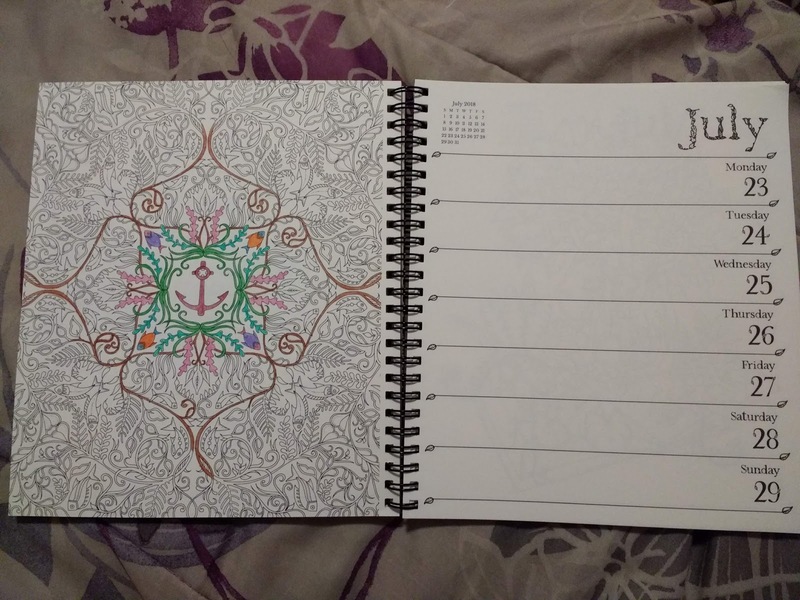 I've finally started to get into coloring, which is something I've been meaning to do. 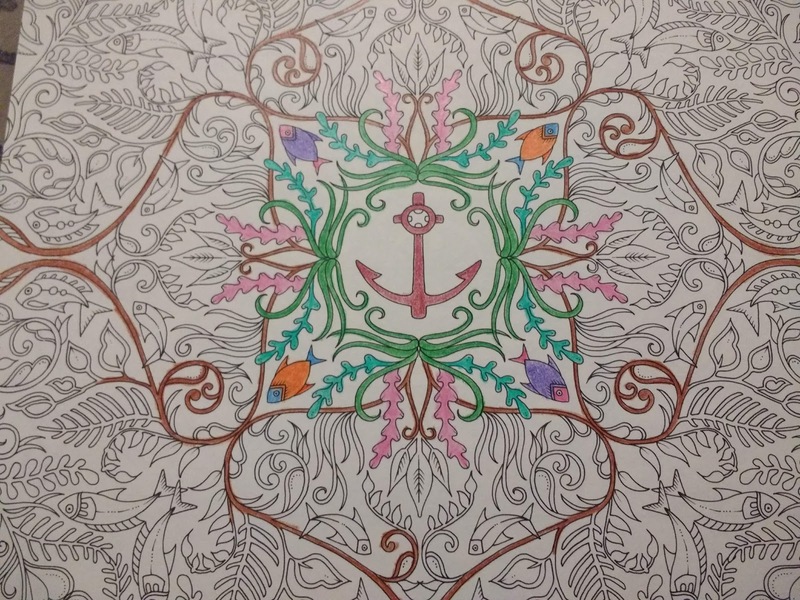 You'd think I was a coloring addict, given the sheer number of adult coloring books that I own. But NOPE. I've barely colored in any of the books. That is going to change. *Note: I still love reading. I always will. 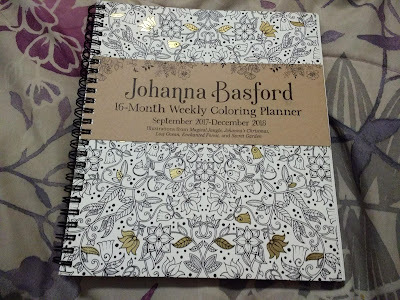 I got this gorgeous Joanna Basford planner from my #TBTBSanta (thank you!). Isn't that tree amazing? I love it. It's almost too hard to write up and color the book, because the illustrations are so beautiful. 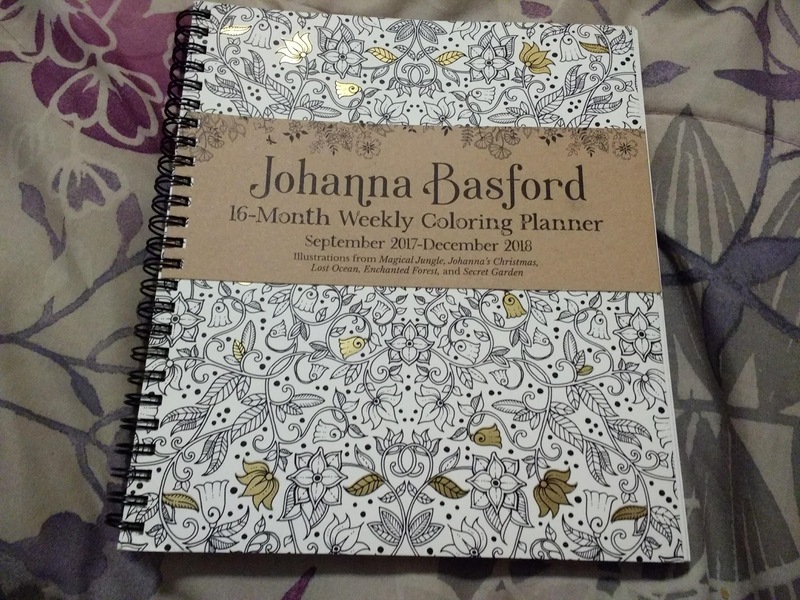 I use three planners; one as a gym log, one for work, and this Joanna Basford one, for personal use. I admit I use this one least of the three, mostly because I pretty much go to work, go to the gym, come home and sleep. I'm trying to be better about it through! I'll be taking this on the metro with me this week. Let's see how far I get! These designs are so complicated. That's my muse for the week! This weekend I reread Dream a Little Dream by Kerstin Gier (love love love), and I'll be rereading book two, Dream On. In addition to the Icelandic book, I checked out Just Dreaming (book three) from the library, so I'm hoping to read that by Thursday. It's been a while since I had a proper review on a Friday. But those are my goals for the week! I know what you mean! Reading is still a big part of my life, but not necessarily reading every new book that comes out. That's so cool that you're learning Icelandic! I can't wait to see your knitting projects and hear about your progress on everything! Good luck, Alyssa! Wow, Icelandic sounds difficult, are you planning a trip there? I hear it's beautiful😁 Hey, it's great that you are taking the time to pursue other interests and hobbies, as we know, blogging can take over your life! It's definitely okay to do other things if you want. I'm still reading a lot but I'm blogging a little less these days because right now it's hot as hell here in Belgium and I just don't have the energy + I have to go to the hospital once a week for physiotherapy so that also takes a lot of energy. Good luck with learning Icelandic! How fun. I think it's great they're you are getting into other hobbies! When I focus solely on reading, I tend to get burnt out in a couple months. 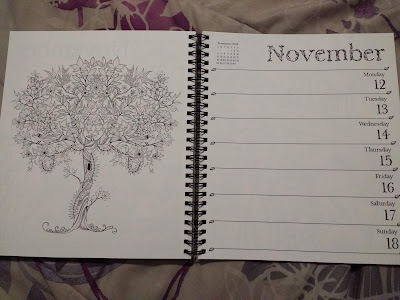 I absolutely love your planner! 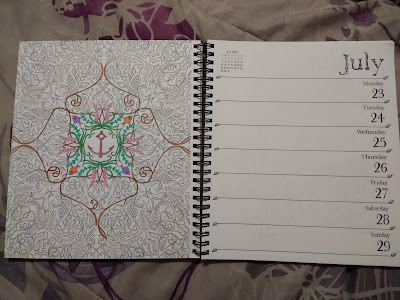 Planning is one of my favorite things, and I become so at ease when I write everything out and I know what my week and month look like. 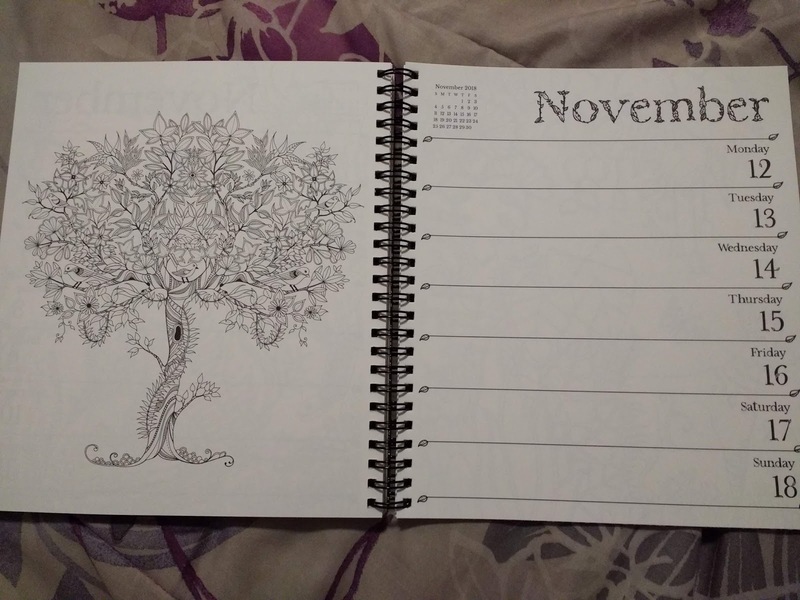 The fact that there's coloring pages in there is such a wonderful idea! I'll definitely be checking out that brand! I am so glad that you are trying different things. 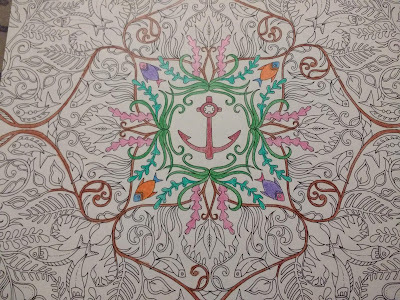 I LOVE coloring, its so relaxing and fun and I just adore Basford's books, her illustrations are gorgeous.